Good Morning + Helsingborg - Conference with playfulness and style! Just outside of the city center of Helsingborg you find Good Morning Helsingborg offering companies who want to have a seaside environment close to the urban life. In playful interior with color inspiring, Profilhotels arranges stylish conferences with a lot of personality! The hotel has 164 spacious rooms, 336 beds, for own time after the meeting. Wooden floors and colorful details create a comfortable environment where the thoughts can thrive during free hours. Sweden's three geographic parts Götaland, Svealand, and Norrland have given their name to Good Morning + Helsingborg's conference rooms. The conference rooms can be divided and merged if needed, thus accommodating many different group sizes. The biggest part is Norrland's two parts together accommodates up to 200 meeting participants in cinema seating. With the remaining conference venues there is room for between 2-200 delegates. In total the hotel has 13 rooms and 6 smaller conference rooms. The pub’s kitchen, Krogen, make a detailed selection preferable from locally manufactured and organic producers when available. The seafood shrimp and salmon have its obvious place on the menu, but they are also sampled with salads and burgers for example. With the wide range, everyone finds something that fits. 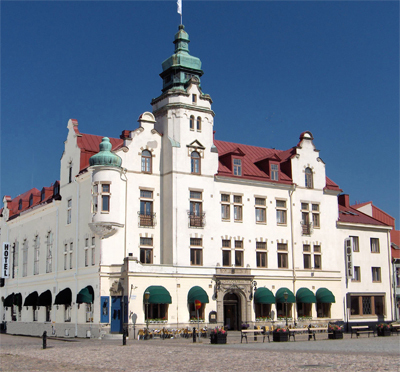 Discover Helsingborg during the conference! Helsingborg is a beautiful city that easily can be explored by bicycle. Roll around and discover the fortress of the city and the royal post office, or the coastline with bike path through the ferry terminal and green areas. By the sea you will find Helsingborg's cold bath - a unique experience that makes the meeting unforgettable! Public transportation takes the colleagues around the city and if you want to take a day trip to Denmark, the ferries depart directly from the terminals. 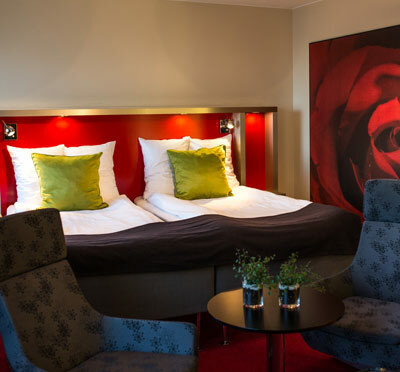 Hotel Horisont is about 2 kilometers from central Helsingborg which makes it an attractive alternative for the city conference. Getting the sea is better than just a great bonus. Good Morning + Helsingborg has a free guest parking at the hotel. Have you been to Good Morning+ Helsingborg and want to give your own comments?